AllRomanceeBooks.com and OmniLit.com are offering all kinds of `book love' this weekend only! 50% off every title this weekend only! Readers receive 50% off on all titles purchased on AllRomanceeBooks.com and OmniLit.com through this weekend using the code SBTBARe1. The discount will appear once the code is entered in the shopping cart and the "Calculate Discount" button is clicked. This awesome offer expires at midnight, January 31, 2010, 11:59 PM Mountain Standard Time. 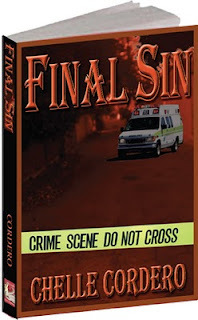 Please join the online book Discussion of Final Sin by Chelle Cordero on Sunday January 31, 2010 - it's going on all day. ...and what an amazing opportunity this is. Welcome to the Grand Opening weekend-long celebration of the Vanilla Heart Publishing Reader's Club! Coming up all three days of the grand opening, we've got some great surprises, games, contests, drawings and fun… Many of our terrific VHP Authors will be stopping by, and in the meantime, feel free to check out their novels and info in the Files section, peruse our extensive title catalog and video links, and have fun! the Grand Opening of the VHP Reader's Club! with excerpts, chat, Q&A, games, giveaways, and more! Hallo Vielen Dank für die Einstellung durch. Bonjour Merci d'être passé par. Ciao grazie per l'arresto vicino. Salamat sa paghinto sa pamamagitan ng. สวัสดี ขอ ขอบคุณ สำหรับ การ หยุด โดย.